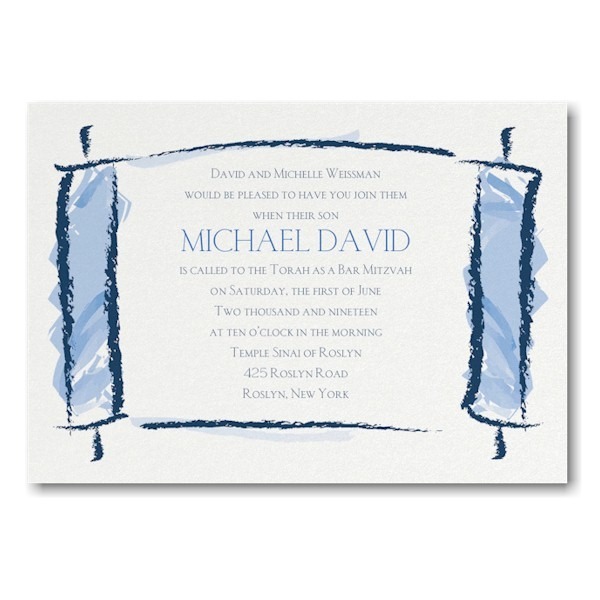 This handsome Bar Mitzvah Invitation is digitally printed on White Shimmer card stock and features your wording details surrounded by an artistic rendition of a watercolor Torah. 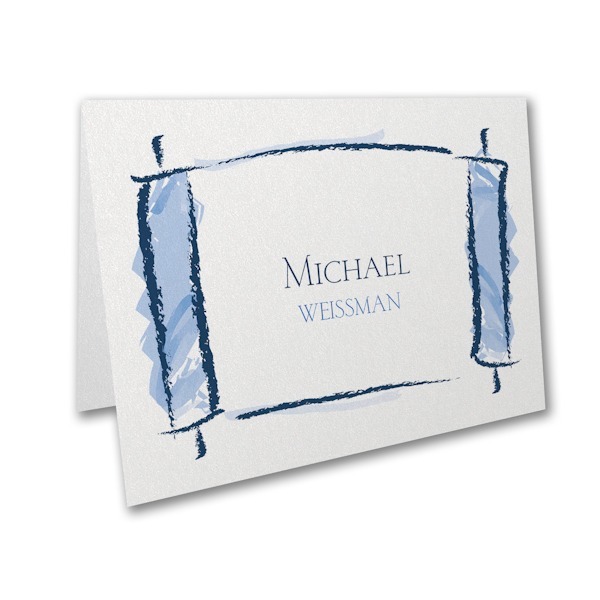 This handsome Bar Mitzvah Invitation is digitally printed on White Shimmer card stock and features your wording details surrounded by an artistic rendition of a watercolor Torah. 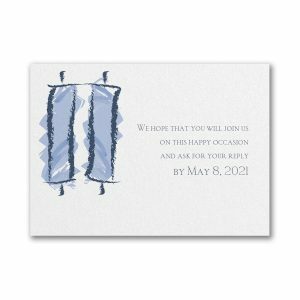 Measures 7″ wide by 4-7/8″ high. 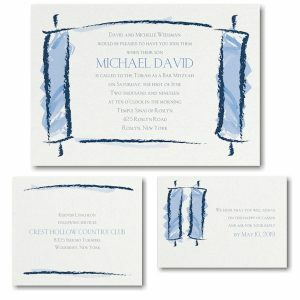 Shown with Midnight and Blue inks with lettering style LCR. 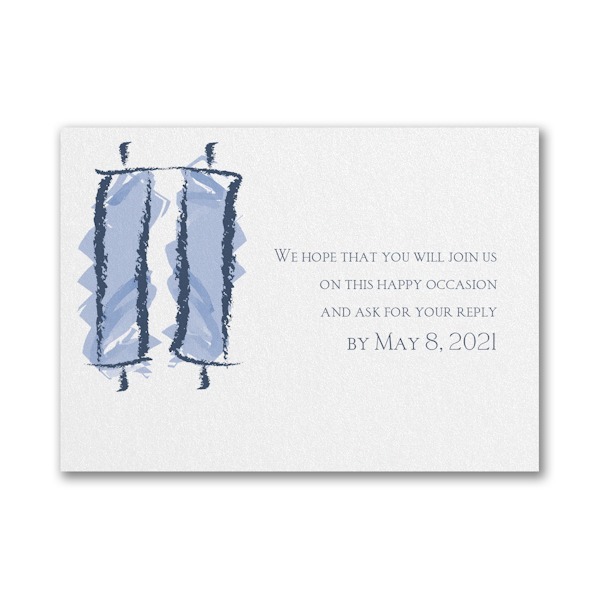 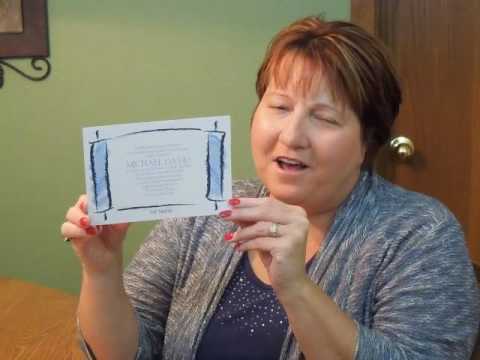 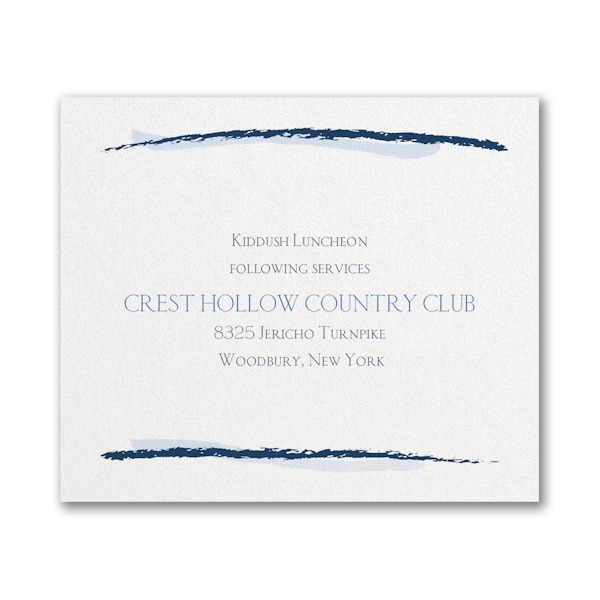 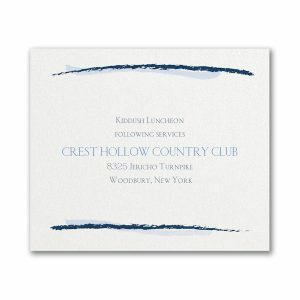 The coordinating Reception and Response enclosures will print on matching single card stock and the Thank You notes will print on folder stock. 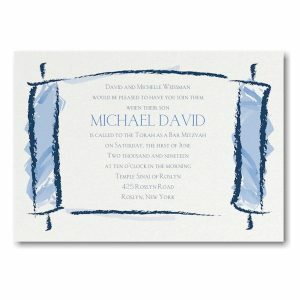 This Bar Mitzvah invitation is accompanied by single envelopes.